It’s the last day to register to vote in many states, and with the economy in the toilet and the wars pushing our national debt into the ten trillion mark, it’s time for many people to make their stand. 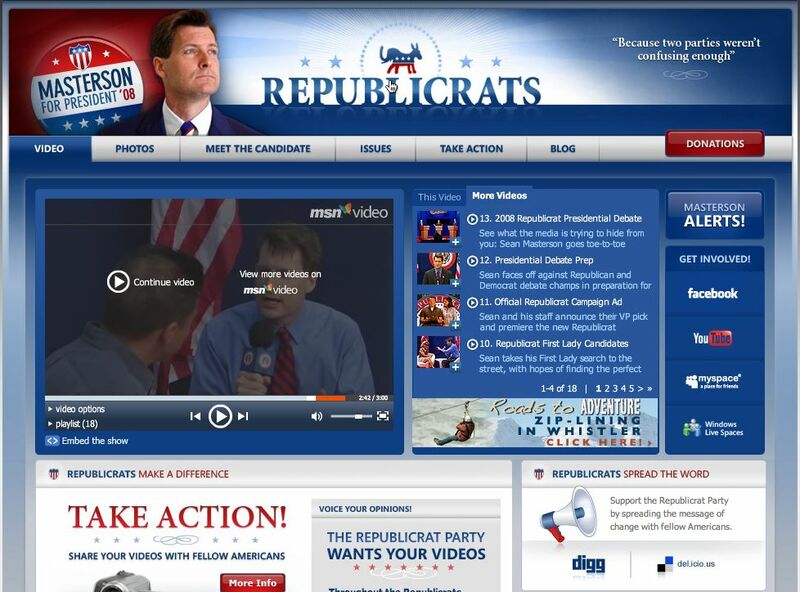 Great that there are parodies such as the Republicrats. With everything out down right serious, it’s nice to sit back and have a laugh about it from time to time before November rolls around. So if you’re getting sick of the whole negative campaigning and this or that between Obama and McCain, or Biden and Palin, then it’s time you sat down and took a breather. And chose the political party that’s right for you. The Republicrats. Coming to a ballot near you.